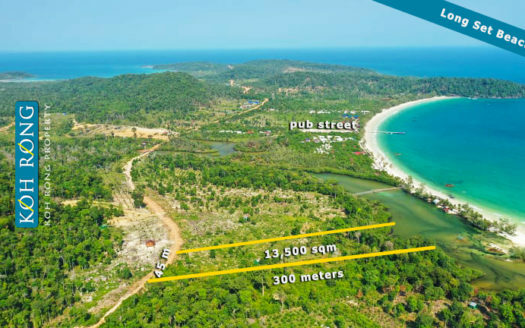 This large plot of 10,000 sqm (1 Hectare) is located on the oceanfront with uninterrupted views over 2 beaches and beyond. 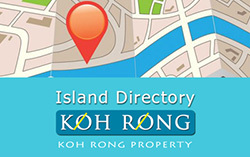 The land is elevated and has a small rocky beach at the bottom of the land. 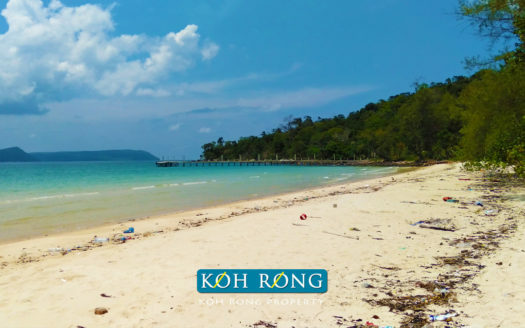 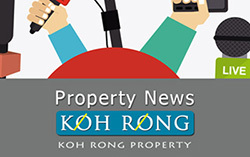 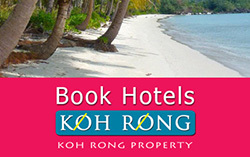 This area of Koh Rong has big development plans over the next few years and would be perfect as a short to mid term investment or to develop into a resort or villa project. 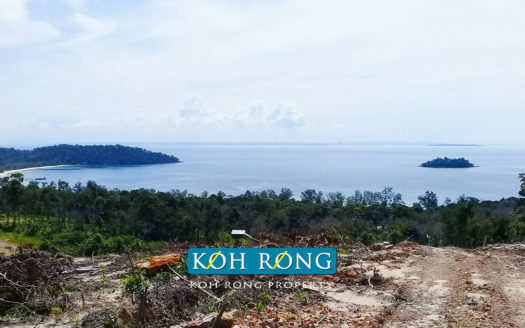 The land dimensions are 50 meters wide and 200 meters inland and there is a “main road” running down the length of the property, which makes it ideal for any cutting and development. 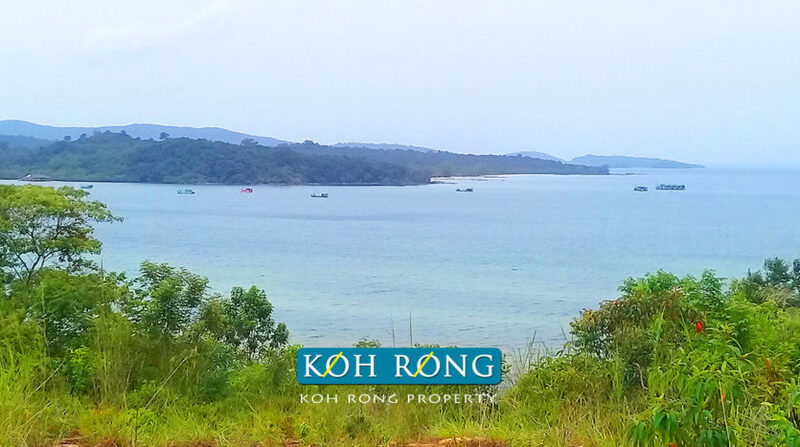 The land is HARD TITLE and priced at $60 sqm, which can be negotiated direct with the owner.